For those of us who are in the loop, you know that healthcare seems to be the topic of much debate, news and interest in the past year. But what about those who are not in the loop. Do they know the importance of healthcare let alone how to access it? In certain groups, this is the reality of the situation. According to Contra Costa Health Services’ 2010 Community Health Indicators Report, Latinos are among the most uninsured in the Greater Bay Area. In particular Latino men are affected. They tend to avoid seeking health and medical care for a variety of reasons, including misinformation, insufficient education about health issues, lack of knowledge about the local health care systems, and a lack of supportive networks encouraging them to seek care. Perceived cost is another barrier many report. In addition, some immigrants avoid contacts with public institutions, including health services, fearing that they might attract the attention of law enforcement or the Immigration and Customs Enforcement (ICE). At the same time , within the Latino community men typically are more at-risk. According to a study done by La Clinica’s Maria Reyes, men tend to visit the doctor less and therefore do not catch diseases in early stages, leading to more serious health concerns. Cultural factors and general isolation are often at play causing men to keep health needs and issues to themselves. Men not seeking healthcare causes a chain reaction that spreads to families. In the Latino culture, men act as the heads of the household and decision-makers for the family. If men do not choose healthy lifestyles, it is likely that neither will their families. By educating men about health services and access, entire families are changed for the better. Unfortunately, there is currently little being done to focus on men within the Monument community. La Clinica’s health promoters are currently women, which according to Reyes’ study creates an environment in which men are less likely to discuss health issues. The study is hopeful however in that there has been success elsewhere with male promoters. 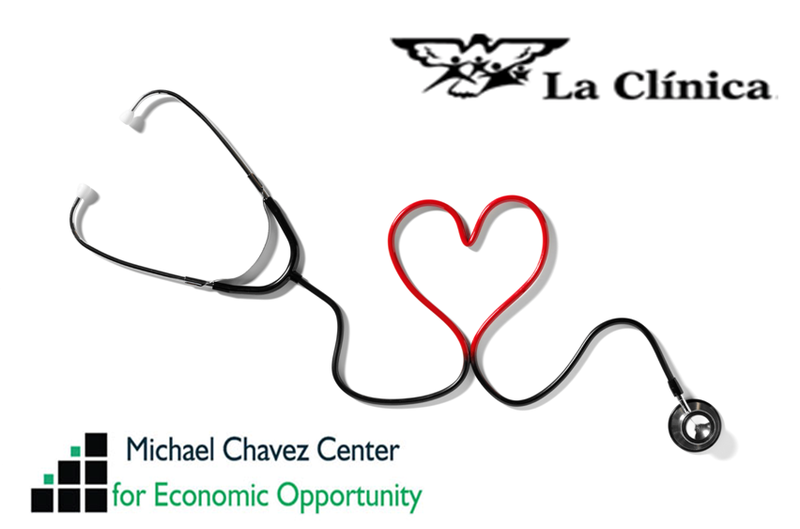 The Chavez Center and La Clinica have joined forces to begin undoing this chain reaction. Through combined efforts, we are putting together a team of male health promoters to educate their peers about healthy living for themselves and their families. The combination of outreach, presentations, on-site screening, and health education will help dispel misinformation and promote access to health services. Through the promoters outreach and workshops, community members will become better educated about the healthcare system, resources available to them, and the effects of injury, disease and sickness. Last night the Chavez Center held the first information session to begin the training of these promoters. La Clínica Monument will provide comprehensive training to the promoters, utilizing a 10-session curriculum called the Escuela para Promotores (School for Health Promoters) to provide participants with the philosophy of community action, an understanding of group dynamics, and the skills necessary for leadership. They will learn to present culturally appropriate material on such topics as: nutrition and healthy eating, first aid, worker safety, diabetes prevention, asthma, hypertension, cardiovascular health, mental health, sexually transmitted diseases and drugs and alcohol use. Early next year the Chavez Center will also conduct preventive screening onsite, to address such health related concerns as blood pressure, diabetes, cancer, muscular/skeletal problems, arthritis, depression and work injuries. This will give community members an opportunity to receive health services and connect with ongoing health care offered through La Clinica. The Chavez Center sees a strong connection between health and sustainable employment, recognizing that its clients (and subsequently the whole community) benefit from the integration of education, training, access to health care and employment opportunities. When members of the community face disease and injury they often face employment limitations. In addition, the population that we work with – and men in particular – tend to hold more dangerous jobs and thus face exposure to chemical toxins, injury and other health issues. Further health education would catch these problems early and help community members access the services they need, allowing them to maintain stable employment. In line with this view, the ultimate goal of the project is to improve health access and utilization of health services for immigrant and minority workers across the city of Concord and neighboring areas of Contra Costa County, with a particular emphasis on men.